Thanks to @Lillutuft for this art piece! Level 7 is rather straightforward for most of the Mighty Nein. All the primary spellcasting classes get access to 4th level spells. 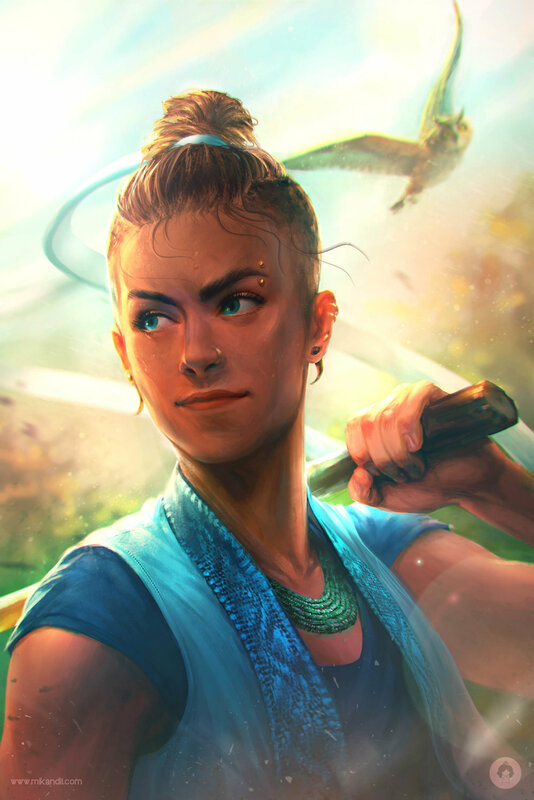 Beau, Nott, and Yasha, meanwhile, start to gain access to some of their more powerful class abilities. Thanks to @mikandii for this art piece! Beau’s moving up in the world. At level 7, She gets the incredibly powerful skill Evasion (you’ll recall that this is what helped Vax avoid getting melted by Meteor Swarm at the end of the last campaign), which allows her to take half damage from failed dexterity saves and no damage from successful ones. In addition, she gains Stillness of Mind, which allows her to use her action to end any effect that is causing her to be charmed or frightened. Thanks to @PhotonBetamax for this art piece! 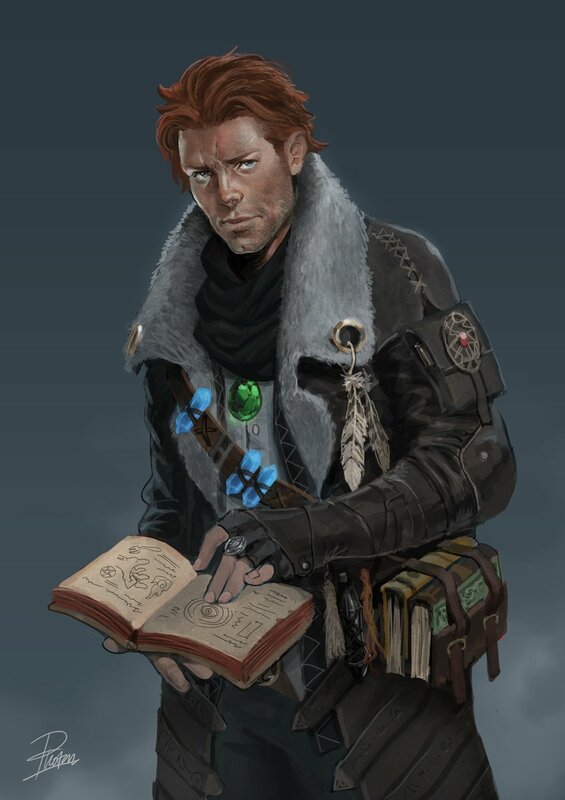 As usual, Caleb gets to add another two spells to his spellbook for free, but this time, he can choose 4th level spells, since he can now cast a single 4th level spell slot each day. As usual, there are many spells he could choose from in the wizard list, but some notable 4th level options include Mordenkainen’s Private Sanctum and Wall of Fire. Thanks to @janwahli for this art piece! Like Caleb, Caduceus now gets to cast a single 4th level spell per day. This can be any spell on the cleric spell list that he’s prepared, or one of his two new domain spells: Blight and Death Ward. Thanks to @Spesiria for this art piece! Fjord now casts all his spells at 4th level! He also gains another spell in his Known Spells list, which can now include 4th level spells. Like Caleb, he has a lot of options in the Warlock list alone, but he can also choose one of the 4th level spells from the Hexblade expanded spell list: Phantasmal Killer and Staggering Smite. He also gets to choose an additional invocation. Again, the list is large (and growing), but Level 7 opens up some interesting options for him, like Relentless Hex (XGtE) or Dreadful Word (PHB). Thanks to @aegisdea for this art piece! Like the rest of the spellcasters, Jester can now cast a single 4th level spell per day. Like Caduceus, she has access to any spell on the cleric spell list that she’s prepared, or one of her new domain spells: Dimension Door and Polymorph (Yes, we anticipate all the chaos and shenanigans, as befits a mid-level Trickery cleric.). Thanks to @IvieiArt for this art piece! Nott gets a huge boost with level 7. Like Beau, she gets Evasion. In addition, she gets an improvement to her Sneak Attack and Fury of the Small damages. She also gets to advance her Arcane Trickster skills with an additional 1st level spell slot and two 2nd level spell slots. To make use of these additional spell slots she gets to learn an additional spell, though she’s restricted to 1st or 2nd level wizard spells from the schools of enchantment or illusion. Notable potential 2nd level choices include Invisibility, Blur, and Shadow Blade. Thanks to @jermsdraws for this art piece! Ashley’s going to get some help with initiative rolls with level 7. Feral Instinct gives Yasha advantage on all initiative rolls, and if she’s surprised, she can take a normal turn as long as she enters her rage first and isn’t incapacitated. She also gets a small healing/damage increase to her aasimar abilities Healing Hands and Necrotic Shroud.